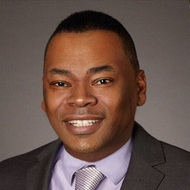 Ernest Green M.S., M.B.A, PMP, is an Vice President, Data Mining at a large financial institution in Dallas, TX. Prior to that he worked as a Data Scientist with General Motors and has 10+ years of diverse analytics experience. He holds multiple college degrees and most recently completed a Master's degree in Predictive Analytics from Northwestern University. His research and expertise are in Analytics, Machine Learning, Natural Language Processing and Artificial intelligence.